an innovative large spiral brush gives your lashes an extra oomph of curl! 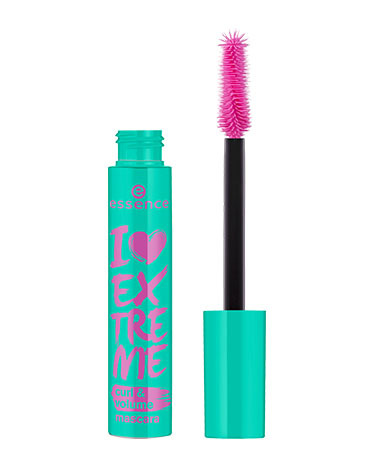 I love extreme curl & volume mascara has a rating of 4.0 stars based on 4 reviews. INGREDIENTS: AQUA (WATER), PARAFFIN, GLYCERYL STEARATE, SYNTHETIC BEESWAX, STEARIC ACID, ACACIA SENEGAL GUM, BUTYLENE GLYCOL, PALMITIC ACID, ORYZA SATIVA (RICE) CERA, POLYBUTENE, VP/EICOSENE COPOLYMER, OZOKERITE, AMINOMETHYL PROPANOL, TROPOLONE, HYDROGENATED VEGETABLE OIL, STEARYL STEARATE, HYDROXYETHYLCELLULOSE, PHENOXYETHANOL, CI 77499 (IRON OXIDES).